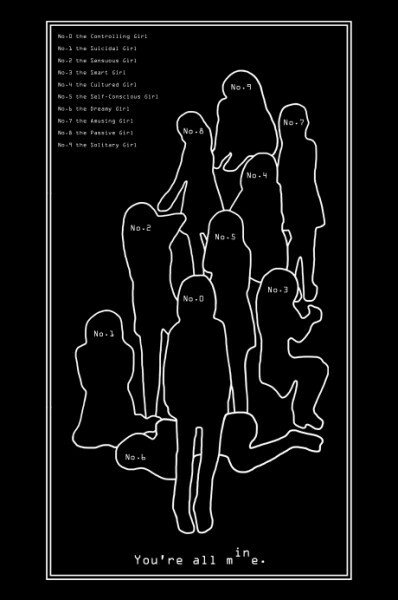 Here’s Minus Sun’s first T-shirt featuring the first collection “You’re all mine. (You’re all in me.)”. 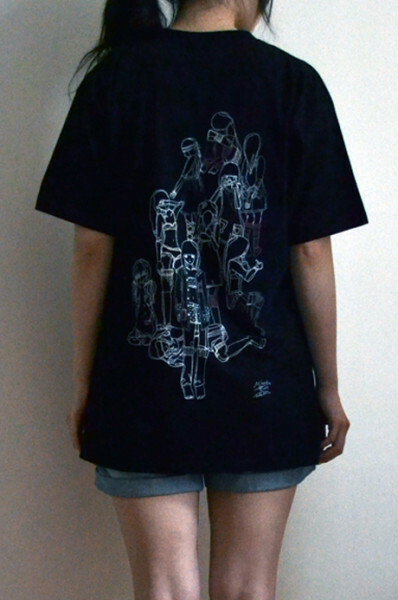 Illustrations are printed on both sides of black cotton T-shirts. 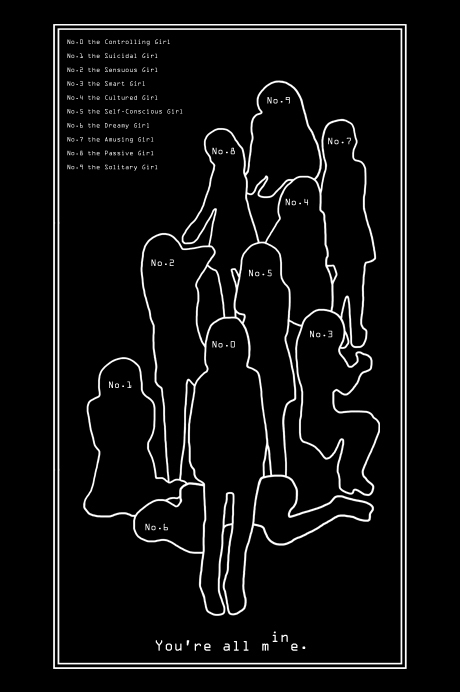 The front has outlines and names of the characters in white and the back has line drawings of the characters wearing their clothes from the collection. 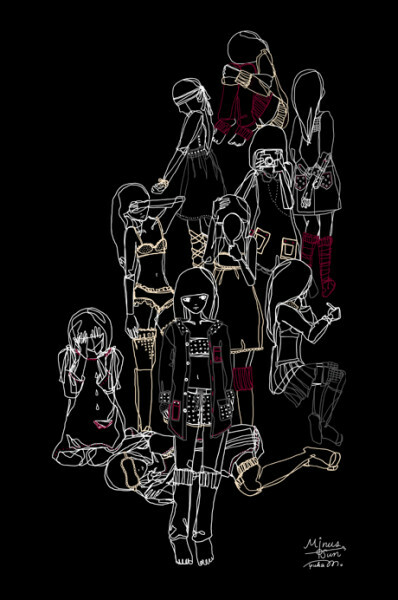 No.0 the Controlling Girl, the main character, stands in front of the rest of the girls in distinctive poses with hidden faces. It will be sold at Selvedge Winter Fair, 29-30 Nov 2013, Chelsea Old Town Hall for £20. I am a size 6-8 and wearing a mens size S here. 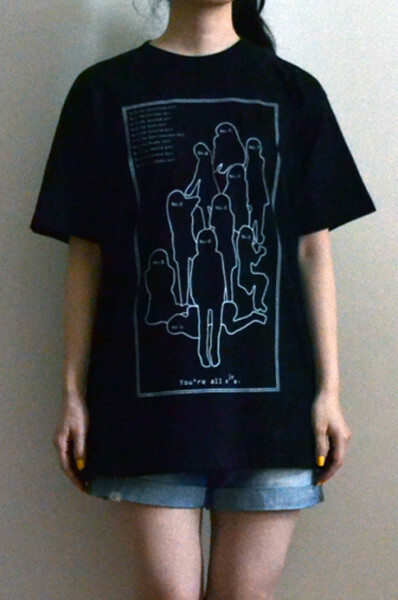 There are sizes S and M.